Silently roars and idles about. Roughly the size of a gnome, this pet is one of the largest of all vanity pets. It may be used by non-engineers. As of roughly Patch 5.2, Umi Rumplesnicker no longer offers to train engineers the schematic for this pet. 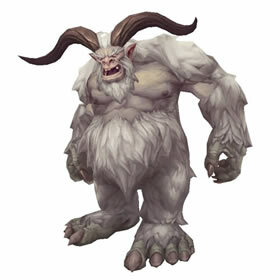 The quest, A Yeti of Your Own, was either removed from the game or was unintentionally severed from the quest chain. It's unknown if the quest will return in a future patch. Although the recipe for the Tranquil Mechanical Yeti is currently unobtainable, engineers that learned how to make this pet prior to the quest's disappearance can still craft this pet. Instantly deals 985 Mechanical damage. The user must recharge for two rounds afterwards. Just had this guy drop from a Blingtron 6000. @Beetledrop It's not a beast, it's a mechanical. Great Nuke pet that has the ability to cast 2 weather effects a damage increase and a Ion Cannon. You have 4 nuke options and can swap him out with pets that use Rebuild or Wish to heal his life back up. As for getting him, ask around trade chat for someone who can make him for you if there isn't one in the AH. Don't forget to Tip! A friendly engineer will make this for you, and you want at least one of these on your team. They come in only one breed H/B. Save Ion Canon ability until you know it will kill and you can recover. Call Lightning is a double edged sword, but look at the damage it does initially, especially vs beasts. Save it for the end of the battle. Early in battle only if using team strategy. I'm looking some hero to craft this little guy for me for a few golds. Tranquil Mechanical Yeti was the first pet I bought at the AH and first pet I levled to 25. And even though other Mechanicals seem to have higher ratings, I've always found that my Lil Bigfoot is my go-to favorite Mechanical with its super-beast killing powers. Only my Iron Starlette aka 'Toni Stark' gives my Yeti a run for his money! This pet is a beast. One of the best Mechanical pets in my opinion. His Ion Cannon + Lightning storm is a fantastic combination. It does a ton of damage usually well over a 1000 damage. The only draw back to Ion is that you are unable to attack for 2 rounds. It's best used as a finishing move or a last ditch attack before death. I was not aware that the recipe has been removed. Good thing I got it on my mechanic before it was removed. Maybe I should take up selling it on my server. Goblin specialization makes no difference. I finished the questline and I'm a 615 eng with gob spec... It doesn't give me the option to learn it and I don't already have it. Based Wowhead comments, it appears the quest to receive these plans, "A Yeti of Your Own", was removed from the game in 5.2. It is unclear if this was a mistake or intentional, or whether it will be returning. Has anyone recently done the quest line as an engineer to get this pet? I spoke with a GM after doing the required quest and they said you had to be a goblin engineer and that plan was taken out of the game. Has anyone recently done this or can confirm otherwise? Great battle pet and a great money maker for Engineers. 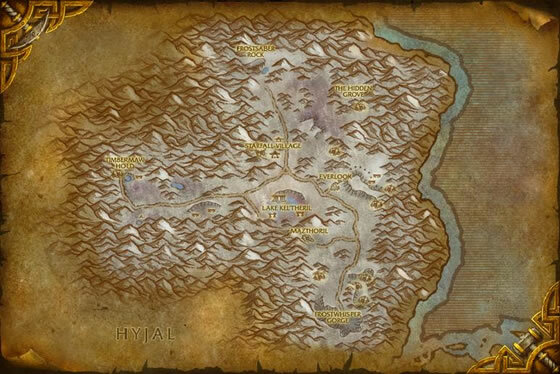 If you can mine the metal yourself then you can get the Elemental Air and Elemental Earth in the same zone in Arathi highlands and the Globe of Water in Swamp of sorrows. The only thing I need to buy is the Cured Rugged Hide. These pets go for 400+ on the auction. This guy has soome of the best combos of any pet. Supercharge + call lightning = dead beast, + call blizzard = dead mech. Follow a call lightning with flurry = dead critter, and does a lot of damage vs most everything else but flying and elemental, but you should never use a mech vs elemental, anyway. When the lightning storm is active, it seems as if my pets take damage if the lightning hits them. Is this true? Has anyone else noticed this or is this a figment of my imagination? Actually, first you have to do the chain quests from Lilith, then Kilram's and when you are finished, the quests "Are We There, Yeti?" and "The Perfect Horns" from Amy will be avaiable. Find a leatherworker who has a Salt Shaker. This clever toy is equipped with a secret switch to disable its 'tranquil' mode. Luckily, even the engineers who built it don't know how to find it.